A caring community committed to encouraging individuals to succeed and fulfil their potential. 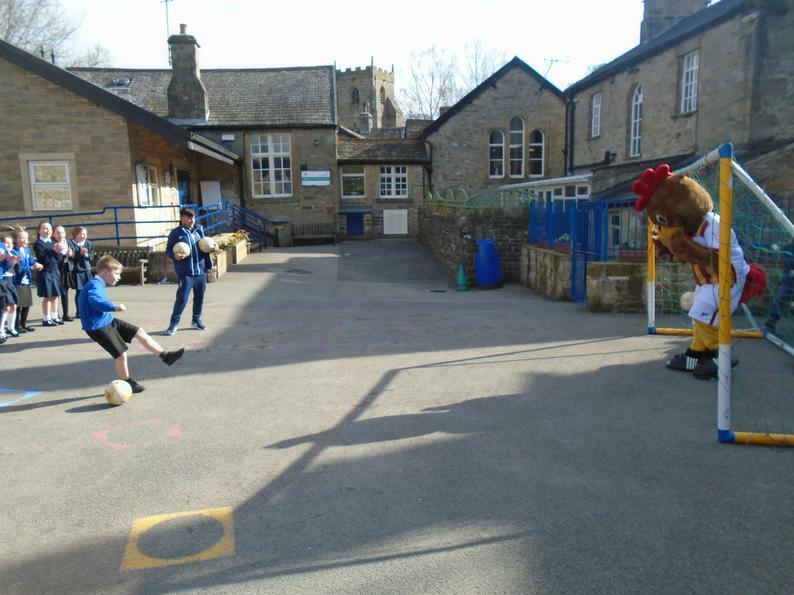 There was great excitement (and puzzled looks from the neighbours!) 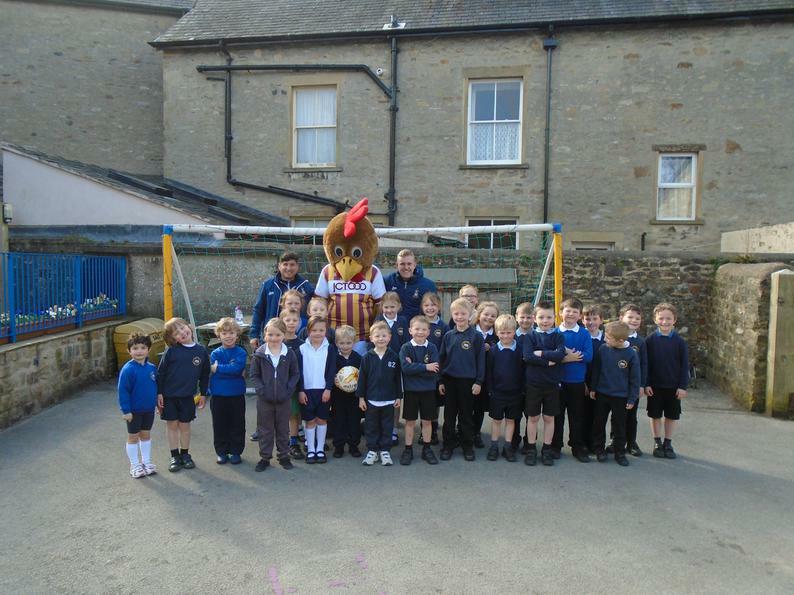 when Billy Bantam arrived in the main yard today! 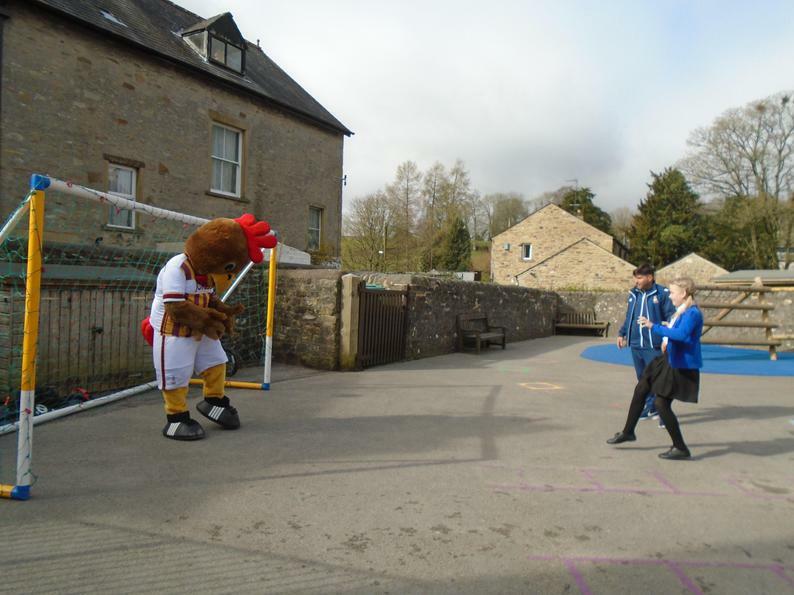 All pupils enjoyed the Penalty Shoot-Out and we are grateful to Tony Gill and Bradford City F.C. for organising this event, for which we are collecting sponsorship money.